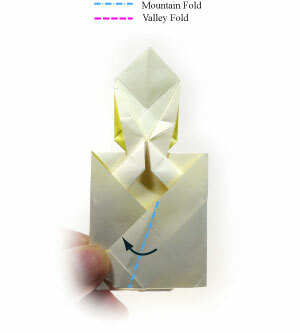 Apply the vertical "valley-fold" of the step #22. 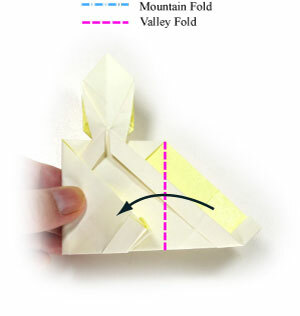 Prepare to apply a vertical "valley-fold" . Apply the vertical "valley-fold" of the step #23. Prepare to apply a "mountain-fold" and then insert the flap into a pocket.